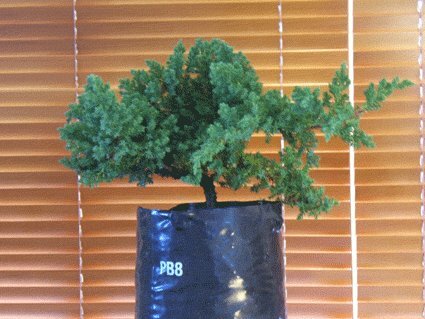 Beginners guide to the use of bonsai tools and wire to style your trees. Complete your bonsai design with the correct pot for your tree. Click pictures for more info on NZ trees. Make your own its not as hard as you think. I will take you through a step by step process that will help you create your own bonsai tree that will improve with age and start you off on this fascinating hobby. Start at make a bonsai and follow the four links as a guide to help you select, style, wire and care for your new bonsai tree. Subscribe to our free newsletter for further information, tips and support. Bonsai means tree in a pot, not a thousand year old tree but one that someone has taken time and an artists eye to style into a pleasing form, one that gives its beholder a sense of age or location, a connection between heaven and earth, a piece of themselves. You are never too old to start bonsai. Each step of the way will come with clear concise instructions that will give you the confidence to develop the tree you have chosen into a work of art. Each section will show you the progress that could be expected using this Juniper as a demonstration. The basic instructions are also in E-book form here. I will be adding to this as I get time. Once you have finished your first Bonsai we would love you to share your success with others. Please upload a picture and short description below. Here is a follow up picture, showing the other side of my Roots over rock Umbrella Tree bonsai. You can see some root separation. its a Bougainvillea and my first attempt to start bonsai.